Do You Know the Reason You Were Hired? Do you know the reason you were hired? I learned the answer to this question the first day of my first job. You already know the reason you wanted a job. I know the reason I wanted my first job. I needed a job, a job with a steady income. I worked for people in the neighborhood cutting grass and raking leaves, but the work was unpredictable and didn’t provide the steady income I needed. My parents provided my basic necessities, but it was up to me to earn my own money for non-essentials. Finally, John Brown hired me. The year was 1948; I was 12. The world was different then. It was not unusual for a twelve-year-old to have a part-time job after school and on Saturdays. This was especially true in the low-middle income neighborhood where my family of father, mother and five children lived. Neighborhood grocery stores were important because many people did not have an automobile. Some folks walked to the store to buy groceries, others called to place orders by telephone. Most customers without automobiles appreciated the store’s free delivery service. My job was to deliver the groceries on a bicycle for John Brown’s Grocery Store. The truck-cycle had a large wire basket above the small front wheel and a large rear wheel. In addition, I was to do whatever chores Mr. brown assigned to me. The first day, I discovered why Mr. Brown hired me! He hired me to do what he did not like to do. He did not like to wash the windows, sweep the floor, carry out the trash, fill the soft drink cooler, dust the shelves, keep the merchandise tidy, clean up spills and he certainly did not like to deliver groceries on that bicycle. I had discovered one of the key principles of Creative Followership on the first day of my first job. When I did what the boss did not like to do, I added value to his business. It gave him more time to do the things he liked to do, the things that only he could do, the things that added higher value than I could contribute. When I did what he did not like to do, he wanted me to be there and knew that I was worth what he paid me. 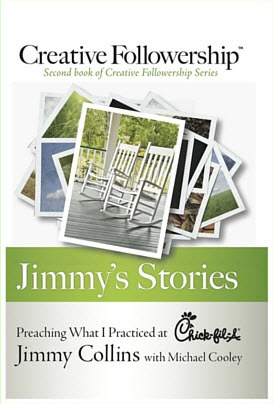 On every job since that day in 1948, I have practiced this principle of Creative Followership. It has earned me my boss’s support and the respect of my coworkers everywhere I have worked. I recommend this principle because it has been tested and proven worthy. It worked for me. It will work for you. It will work for everyone. Do What the Boss Does Not Like to Do. Do you remember your first day of your first job? Did you learn a valuable life-lesson that day? Share your story and your insights! Leave a comment below. 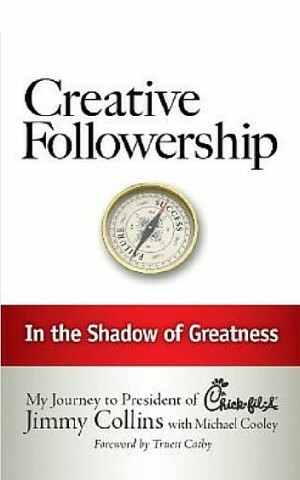 You can learn more Creative Followership principles, and how they worked for me, in my book, Creative Followership.